is located in Montevideo, Uruguay and was completed in 1928. This building was designed by Mario Palanti and stands 312 feet tall with 27 floors. 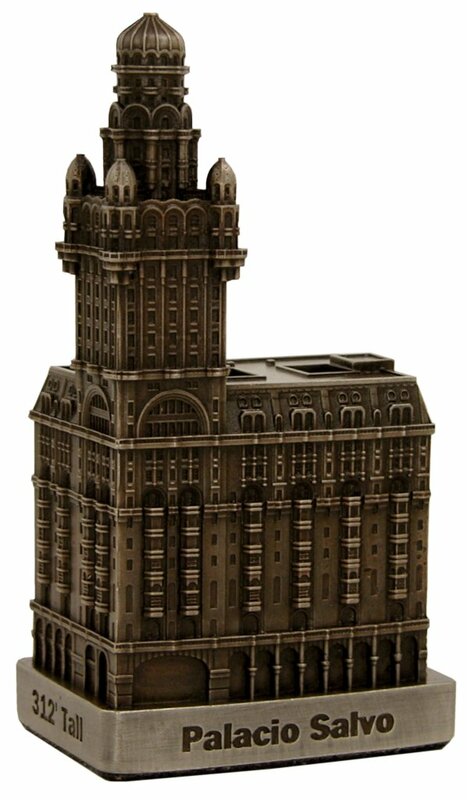 This pewter replica stands 4-1/2 inches tall and is finished in antique pewter with brown stain. This model’s scale is 1 inch = 75 feet.